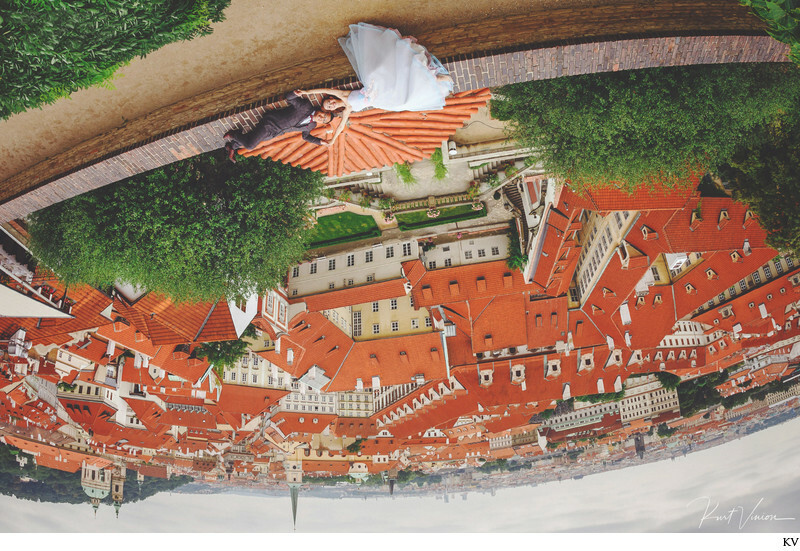 Upside down at Prague castle pre-wedding - from T+R super cool, super awesome, lets have a great time pre-wedding portrait session in Prague. Yeah! These kids rock! They were so cook, so stylish, so fun and full of life - you just had to have a great laugh with them. They had so much fun it that it felt too short. It was one of those sessions where everyone was sharing in their joy. Cool kids and they are getting married and no doubt are enjoying life. Yeah, those two right there Tiffany & Raymond!